Calling All Teachers! 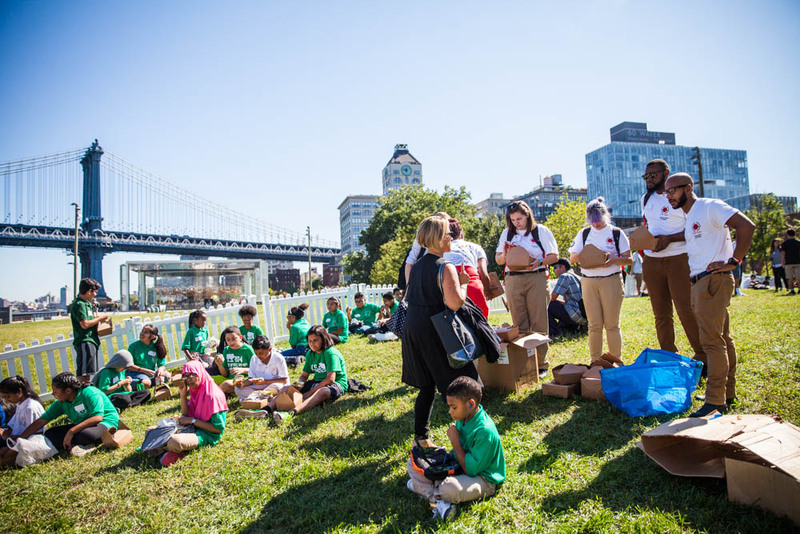 Register to bring your students on a field trip to Photoville! Photoville’s Education Day is a unique art education initiative in its sixth year. 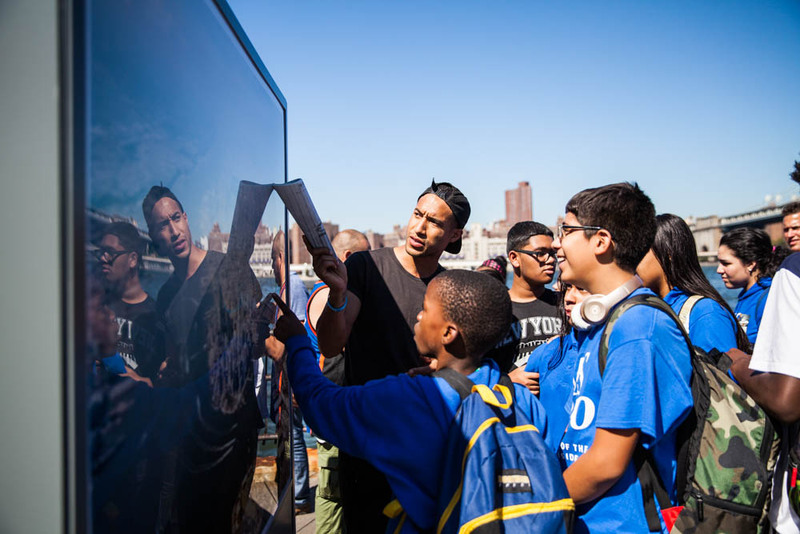 The program is designed to give local middle school and high school students an inside look into Photoville, New York City’s premier pop-up photo destination. NYC students (middle and high school age)! We welcome school groups, community groups and extracurricular youth programs. Priority will be given to NYC public schools for the School Day Session. Completely free to attend! You will need to arrange for transportation, and for your students to bring a bag lunch. The Education Day program includes an artist-led exhibition tour and a youth photographers seminar. Teachers may also participate in a one-day professional development workshop in October 2018 and receive a photo resource packet. Complete this registration form by THURSDAY AUGUST 30, 2018. Space is limited, so registration is first come, first served. Filling out this form does not guarantee your class participation. We will be in touch the week of September 3 to confirm your class participation. Please note that students are split into groups of 15 for the program. Larger parties will be split into subgroups for the duration of the day, so please ensure you have at least one chaperone per 15 students. Yes, let me know how many spots are available and we'll select interested students for the opportunity. No, if you are unable to accommodate our full request, we will not be able to attend at all. School Day Session // 10:00 AM - 1:30 PM After School Session // 4:00 PM - 6:00 PM Flexible, can attend School Day Session or After School Session I only want to participate in the Teacher Professional Development Workshop Note: NYC public schools will be given priority for the School Day Session. 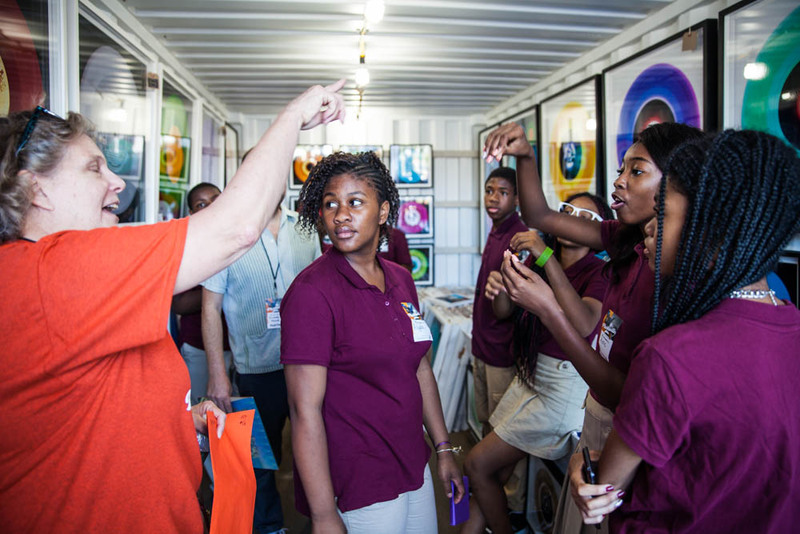 How will your students benefit from their visit to Photoville? 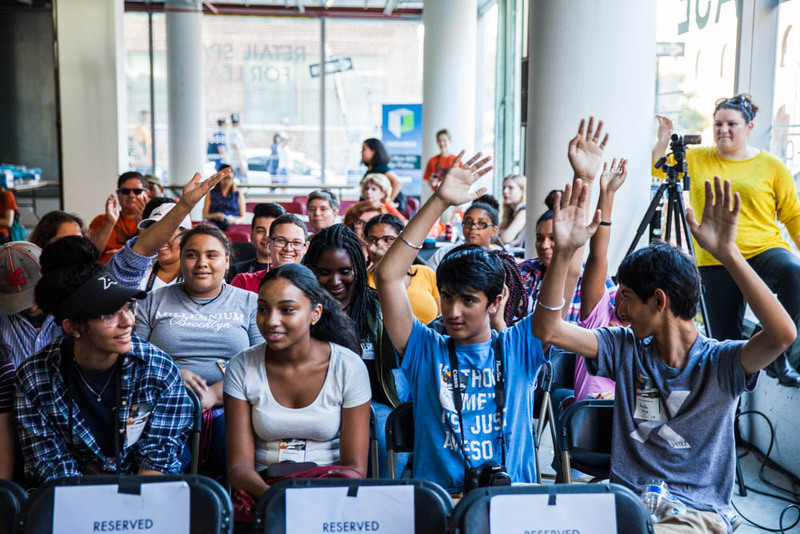 How do you plan to use their trip to Photoville to enrich their learning back in the classroom? Anything else you'd like to tell us about your students? We offer a one-day professional development workshop on using Photoville exhibitions to teach social studies and language arts. The workshop will take place in October 2018 after Photoville. This is meant to provide training and resources to use your students experience at Photoville back in the classroom. What do you wish to learn at this workshop? Thank you so much for registering for Education Day. We look forward to another amazing year!